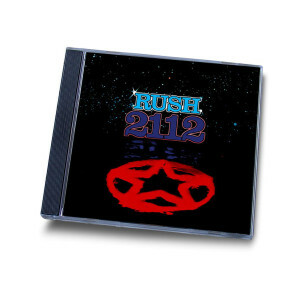 A true classic of Canadian hard rock, 2112 marks the beginning of Rush as we know them. The pure four-on-the-floor rock of their first album, and the incredible playing and epic storytelling of subsequent albums culminate in the one-side-long 2112, drummer Neil Peart's take on the works of Ayn Rand. The song is sweeping in scope, from acoustic bits to the full-on riffage of The Temples Of Syrinx to the bombastic ending. While the sci-fi action seems a bit dated now, the sound holds up -- by 2112, Rush had found their sound, their own style of songwriting, and elements of 2112 can still be heard in the band's work today. Side Two includes a handful of other Rush classics, such as the ballad Tears, and the hits Something For Nothing and A Passage To Bangkok.